An opportunity to be a part of the Dubai edition of the World’s Largest Entrepreneurship Event Series. 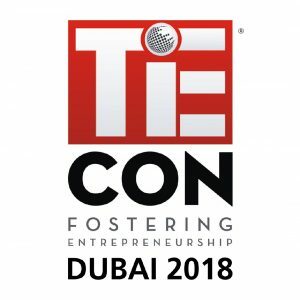 TiECon Dubai is an exclusive invitation-only Entrepreneurship Convention, featuring an exceptional array of international speakers, taking place in Dubai Knowledge Park Auditorium on April 18, 2018. One of the key gatherings of the region, TiECon Dubai brings together the brightest minds from all over the world, including Entrepreneurs, Investors, Start Ups, Innovators, Thought Leaders and Key Government Stakeholders, with participation from more than a dozen countries throughout the TiE Global Network. TiECon 2018 will be held under the “Year of Zayed” banner drawing on parallels between Building a Nation, Building a Sustainable Entrepreneurship Environment and Building Successful Companies. More than 300 participants will gather for the daylong convention and attend some of various sessions in the program with topics revolving around key Entrepreneurship Trends, Opportunities and Challenges, across multiple sectors and disciplines as well as content and activities focusing on the four themes drawn from the values of Zayed: Wisdom, Respect, Sustainability and Human Development. TiECon Dubai is an ideal opportunity to achieve brand recognition and marketing reach towards a refined selection of participants through various partnership opportunities.